Old New Land, published five years after the First Zionist Congress, was a utopian novel about a Jewish traveler who finds himself in the Jewish state in Palestine, which has become a thoroughly modern Western nation: cosmopolitan, technologically-advanced, and with equal rights for Jews and non-Jews alike. The book inspired Jews around Europe to take up the Zionist cause, as they could envision how beneficial this future Jewish society would be. 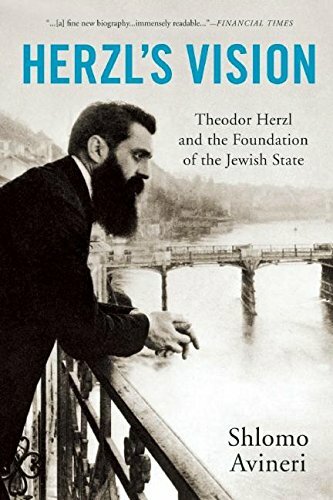 Altneuland was another bestselling hit for Herzl, read all over the Jewish world by Zionists eager to understand how their vision of the Jewish state would play out. “Old New Land” explained how the Jews were going to take their ancient homeland and turn it into a fully modern society, making the title of the book an apt description of Herzl’s vision. Translated into Hebrew, though, it was given a different title: it was called Tel-Aviv.